Having a great sound system for your car may sound too fancy, but if you’re a music lover it’s a necessity. Nothing beats the smooth bass beats that a quality loudspeaker can produce, but finding the best one to install in your car can be difficult given the wide array of choices out there. That’s why I asked Nick, an audio equipment expert, to help us round up six of the best 12 inch car subwoofers you can buy right now. Here is a table of the best 12-inch car subwoofers that Nick recommended to us. I divided them into three price points (cheap, affordable and expensive) and included some relevant specs you might want to know. The Skar Audio IX-12 D2 12-inch car subwoofer offers middle quality sound for an affordable price. Although it has a limited power range, this budget subwoofer compensates for an expansive frequency range of as low as 30 Hz to as high as 600 Hz making it capable of producing good bass most people turn to subwoofers for. It also features an advanced air flow cooling system and a two-inch high temperature dual voice coil made of copper. The Planet Audio AC12D is a dual voice coil, 4-ohm car sub with a power range of 900 Watts to 1800 Watts, a great leap from the previous Skar Audio IX-12 D2 with only a few bucks of the price difference. It has a sensitivity of 88dB and a resonant frequency of 32 Hz. This 12-inch car sub is designed to work in either sealed or ported enclosures to achieve the best sound from the product. For those looking for a great sub under $70, check out the Kicker 44CWCS124 Comp. The only SVC on our list, this Kicker sub delivers reliable bass sound through its thick woofer cone, perimeter venting and strong motor structure. It is best installed in a sealed box enclosure to get the best sound. The Pioneer TS-W3003D4 Champion Series is the sub to get when you want an affordable upgrade from your entry-level car subs. Retailing for under $80 at Amazon and with a range of 600 Watts (RMS) and 2000 Watts (peak), this sub presents a great deal for the buck. This sub also offers installation flexibility as it can fit into an enclosure as small as 0.85 cubic ft. This next sub is a proven customer-pleaser. Not surprising considering its great specs and performance. The Rockford Fosgate P3D4-12 Punch P3 DVC delivers on its promise of high power as it can withstand continuous use without failure even at its peak power capacity of 1200 Watts without causing damage to the voice coils.This sub also features a hybrid StampCast basket which provides strength as it minimizes the sub’s weight and resonance. The Power Acoustik MOFO-124X is made to impress with its power range of 1,500 to 2,700 Watts. It is part of a line of improved subwoofers from Power Acoustik which boasts of featuring non-presses pulp cone for durability and producing smooth, low bass sounds. It also has an improved heat-handling system in the form of an aluminum dustcap which acts as a heat extractor. This sub ensures durability with its die-cast aluminum frame. Subwoofers are literally all about that bass. They are a type of loudspeakers which are designed to produce audio of low-pitched frequencies. Although they are usually seen at events such as concerts, consumer-grade models are sold for home and vehicle use. Car subwoofers, as the name implies, are a smaller range of subwoofers made specifically to fit inside cars and other vehicles. According to Nick, they are generally made up of about eight parts, with the voice coil and the diaphragm being the most vital ones. The voice coil is the part which creates the pulsating vibrations by picking up an electrical charge from wires. These vibrations produced by the voice coil then goes into the diaphragm and churned out as the sound waves I hear from the subwoofer. The diaphragm also helps in making the sound the subwoofer produces to be louder. Subwoofers come in a wide array of varieties depending on factors like size, power range, frequency range and enclosure type among others. Car subwoofers usually come in three types. This is the most basic type of subwoofer. It is a subwoofer housed in an enclosure and which needs an external amplifier to work properly. They can be further modified to fit the needs of the user as they come in various sizes with different features. If you’re looking for a subwoofer that can produce great sounds at mid-range frequencies, Nick recommends you go for powered subwoofers. This is also a good choice for those wanting to save on space in their cars as powered subwoofers are set up with their amplifiers inside their enclosures. This type is another great choice if you want to save on space as these subwoofers are made to cater to specific types of vehicles. You’ll surely find a setup that will work for the vehicle you have. A downside of these however is that they aren’t that powerful when it comes to sound. 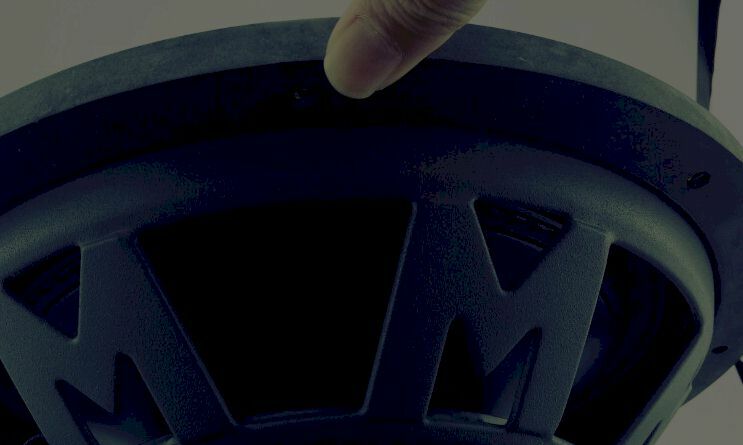 Aside from type, here are other factors you should consider when looking for the best 12 inch car subwoofer. Power. This refers to the ability of a subwoofer to handle the power that runs through it. Experts believe that RMS or root-mean-square is a better gauge than peak wattage when determining an audio equipment’s power. Thus, a car subwoofer with a high RMS will produce more bass. Frequency range. This determines the range of sounds that a subwoofer can produce. Since you’ll want good bass sounds, Nick recommends you choose a subwoofer with a frequency range beginning from as low as 20 Hz up to 80 Hz. Sensitivity. This is another important factor you need consider as a subwoofer’s sensitivity works together with the power to produce high outputs. Nick says that going for a subwoofer with a high sensitivity rating will require less power to produce a similar sound as a subwoofer with a lower sensitivity rating. Sensitivity is measured in decibels (dB) with 89 to 95 dB being the recommended range. Impedance. Valued in ohms, impedance is the measure of load value that your subwoofer will present to the amplifier. According to Nick, 4 ohms is the most common impedance among car subwoofers although 2-ohm and 8-ohm subwoofers can also be bought. Impedance, along with power, will determine what type of amplifier will be a great match for the subwoofer you’ll eventually choose. Type of enclosure. Enclosures are usually sold separately from subwoofers. They are a sort of sealed box which houses subwoofers and greatly affect the quality of sound they’ll produce. Nick recommends getting ported or bandpass enclosures as they produce more volume. To learn more about the different types of enclosures, check out this guide. A number of voice coils. Subwoofers can either have dual voice coils (DVC) or a single voice coil (SVC). Although, SVCs are common, DVCs might be a better choice for those looking for more flexible wiring, Nick says, but in the end, the decision will depend on the number of subwoofers and type of amplifiers you’ll install. To know more about voice coils and wiring your speakers, take a look at this article. If you plan on installing your newly-bought car subwoofers yourself, here are some more tools you might need. If you’re an audiophile, a great car sound system is a luxury you’ll want to invest in. You can do this by starting with choosing the best car 12 inch subwoofers that will fit your car space, personal preference and budget. This can get overwhelming, but if you keep these reminders and factors in mind, I am sure that you’ll find the what you’re looking for. In case you're searching for a smaller subwoofer, I suggest you read the post on the best 8 inch subwoofers and the best 10 inch subwoofers.